If you are a student or going to start your college, you will be looking around for necessary purchases at a low budget. When you are a student, you still don’t have complete control of your finances and your earnings are limited. At this point of time you discover that as a student, every penny really counts. The sooner you discover that shopping for ink and toner printer cartridges wisely will lower your printing expenses, the further your money will stay. Nobody likes being in debt, neither many can memorize their lessons over the computer screen. So, they need to take a lot of print-outs. Hence, these steps can be followed to cut-down your printing expenses, without compromising on the quantity of print. While memorizing a bucket-load of complex journals for universities, students felt they read more clearly and retain the information in head better when notes are printed on paper instead of on a computer screen. If you don’t want to change cartridges too frequently, you may choose to keep a readable document in grayish color instead of black. This subtle change will be sufficient to save your ink whilst printing hundreds and thousands of pages. However, you can’t be this miser when it comes to printing your assignments. May be taking out unnecessary prints is not a very environmental-friendly option, but if students like it this way, then so be it. There is no doubt that original ink and toner printer cartridges can reduce your risk of ink leakage and there will be no compatibility issues. Having said this, compatible cartridges give comparable quality to original branded cartridges, but at much lower prices. There are numerous recycled cartridges as well, that does not just help you save big but are also environment-friendly options. Compatible toner or ink is manufactured by third party and is engineered to work in designated printers without infringing on copyright of printer manufacturers. When we consider inkjet printing, a compatible cartridge means that it is not manufactured by the original brand of your printer, but it will function and have all the features similar to that of an OEM cartridge. Nowadays, a several websites sell compatible cartridges along with printer consumable needs at affordable prices. It is observed that compatible ink cartridges contain more ink than the original brands and also they are cheaper. This is nice way to look out for when you are trying to save money. Compatible inks are more famous among customers because of the cheaper prices as compared to OEM cartridges. The relationship of students with printer is deep as they have to print loads of class notes, home assignments, project works and study materials from time to time. Considering the volume of the print materials, it is essential for students to look out for new and innovative ideas that will bring down the printing expenses. Remember, buying an inexpensive printer doesn’t necessarily mean you are saving. The total cost of printer can only be considered low when you are capable of cutting down the printing costs. With the increase in computerization, the need for online print solutions has beefed up like never before. 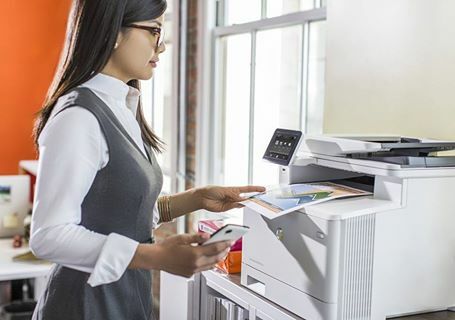 All-in-one printers have become a necessity, especially in small organizations. Manual works are being replaced by machine works; which inflates the printer consumable needs like never before. You will be baffled by the number of choices and brands available in the market. 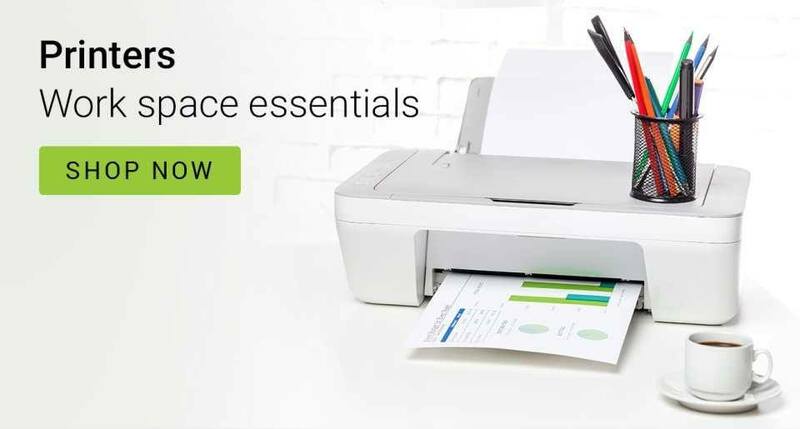 From features like high resolution and flat-bed scanners to functionality such as scanning, printing volume and faxing; there is much to keep under consideration while purchasing your all in one printer. To ease out your buying process, you should consider these factors. Print Volume – For mono; the maximum number of pages can be printed in black and white per minute. It is also calculated as images per minute (IPM). For color, the maximum number of pages that can be printed in color per minute should be asked first. Image Per Minute is a comparatively new ISO quality parameter that permits direct and accurate comparison of speeds among different printers. Print Resolution – It is measured in DPI (Dots Per Inch). The higher the Dots Per Inch, the more prominent and clearer the images. Almost every inkjet printer produces sharp-looking text documents. Some printers eat away more ink to deliver high resolution images. In such cases, you should purchase cartridges from an online printer cartridges store, so that printing needs are not interrupted. Memory Card Slots – With card slots in printers, you can insert memory cards directly from digital camera to the printer, so you don’t need a computer to print photos. Screen – There is a photo preview screen that helps you to preview the photos and change the settings if required, before printing. Large screens make it easier to view and choose settings. Email to print – These printers have their inbuilt email address. You can email documents and photos directly from your email ID through any device to the printer’s email address, anywhere in the world. Wireless – The printer can be connected to your wireless home network. This makes it easy to print from a computer without the need for cables. If you use printer frequently at home, it is advisable to get in touch with a local online retailer for all your printer consumable needs. You can order sitting at the convenience of your home and get it delivered to your doorstep. 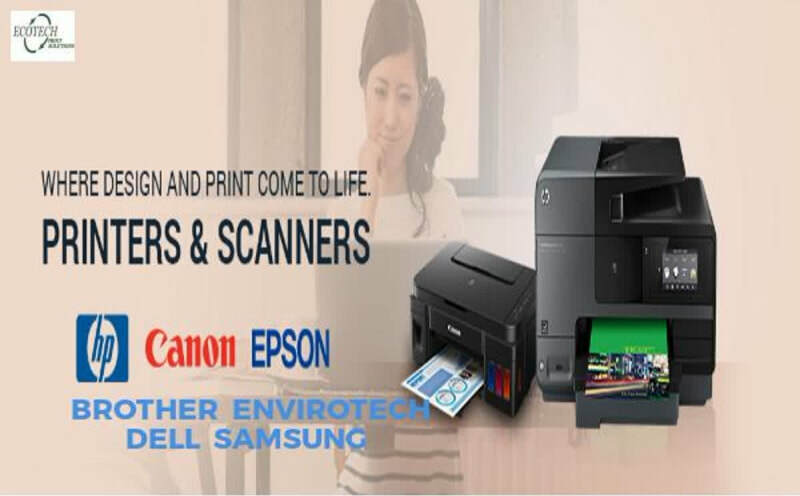 Scanner – With scanners attached to printers, you can capture images and print them instantly. Remember, all these files will be saved in your computer in JPEG format. A printer with a scanner is equally essential for home use, for storing memories in forms of photographs. 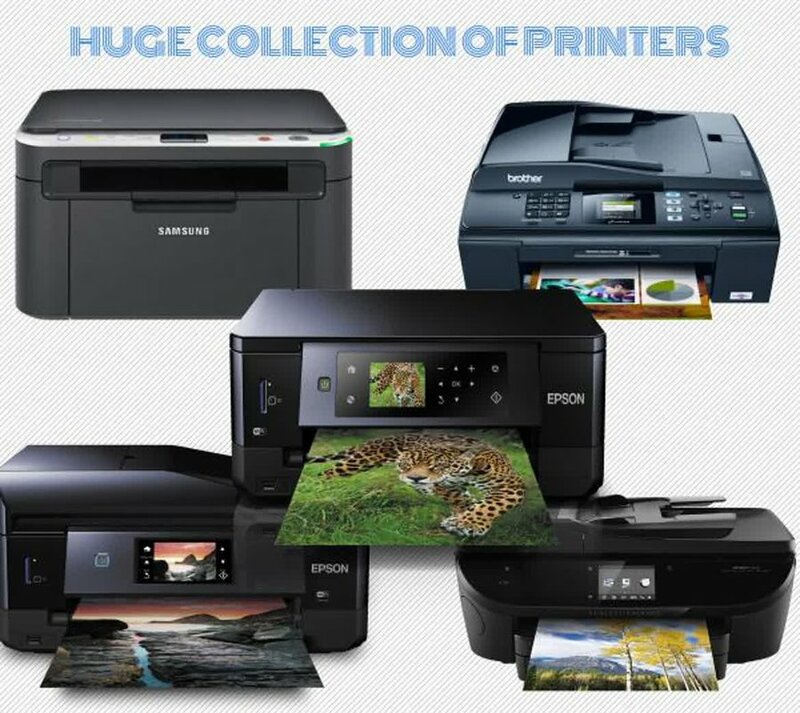 With these latest features in your new gadget, your all your printing consumable needs will be fulfilled so easily. You don’t have to be a technical ninja to operate an all-in-one-printer. The manufacturers always try to make them as user-friendly as possible. There are hardly any offices that run without a printer. As per one of the recent statistic, an organization in Australia that has 20-50 employees daily requires 30 pages to print on an average. This means, you have to keep enough toner cartridges in stock to meet the daily business requirement. 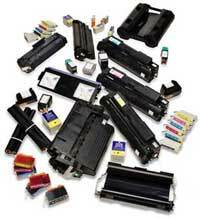 So, if you are planning to purchase best toner printer cartridges, this blog will help you out in choosing the best ones. First, check the toner cartridges online store offers online support or not. This is important because if you face any installation issue, you can email your problem to the company and they will provide you instant support. Also, there are companies in Australia that offers free shipping and return, 100% money back guarantee and safe payment gateway. Purchasing online comes with tons of benefits, this is one of them - you can compare the product features and prices at a time and pick up according to your need. So, while choosing the printer cartridges store, see how many varieties it displays online. More variety means you have more options. If you are a responsible citizen, do something good for mother earth. Use envirotech products to reduce carbon emission. The cartridges are manufactured in Australia, creating job and reducing pollution associated with landfill. Consider these things before purchasing cartridges online. Have a colorful purchase!